The climate, land and natural resources that were available to the Indian tribes resulted in the adoption of the California Native Americans culture. Natural Resources: Oak Trees, buckeye, mushrooms, roots, acorns, nuts and grasses, seaweed. Famous Tribes of California Native Americans: Hokan, Maidu, Miwok, Mohave, Pomo, Chumash and Serrano. The Native Indians who lived on the borders of lands often reflected two different types of lifestyles. The Natural Resources available to the California Native Americans included animals such as deer, elk, rabbits, squirrels, quail, chipmunks, mountain sheep and bear. Sea Mammals included seals, sea lions and sea otters. Fish included salmon, trout, eels, clams, crabs. Insects such as crickets, grasshoppers, dried locusts and caterpillars were all eaten to supplement the diet. Other natural resources included oak trees, buckeye (shrub related to the horse chestnut), mushrooms, roots, acorns, nuts and grasses, seaweed. Salt was a valuable trading commodity that was gathered from seaweed and saline water. The Natural Resources of California include Redwood forests, Oak Trees, buckeye, mushrooms, roots, acorns, nuts and grasses, seaweed. Salt was a valuable trading commodity which was gathered from mineral deposits, seaweed, grass and saline water. Acorns were a staple part of their diet and were harvested and made into cakes or gruel called 'weewish'. The different types of Houses, Shelters and Homes depended on the materials available and whether the home was permanent or temporary. The homes of the California Indians included wigwams and wickiups. The Religion, Ceremonies and Beliefs were based on Animism. Animism was a commonly shared doctrine, or belief, of the indigenous people of North America and Canada including the California Indian tribes. Animism is based on the spiritual or religious idea that the universe and all natural objects have souls or spirits. In this religion it is believed that souls or spirits exist not only in humans but also in animals, plants, trees, rocks etc. This belief is also extended to natural phenomena such as thunder storms and rain and geographic features such as mountains, caves or rivers also possess souls or spirits. The celebrated acorn harvest and the arrival of the first salmon. Ceremonies included those for initiations and mourning. Tricksters feature in the legends and mythology of the Californian peoples as do heroic figures or "transformers" who transform, or change, the world into its present state. The people also have their own creation myths. the States and tribes who adopted this cultures in California which is a state in the western United States. Tribes included the Chilula, Cocopah, Hoopa (aka Hupa), Juaneno, Karok, Kato, Konkow, Miwok, Modoc, Pomo, Shoshoni tribe aka Shoshone, Wintu and Wiyot. The languages of the California Native Americans included Athapaskan, Penutian and Uto-Aztecan. The physical characteristics of California Indians are dark brown eyes, prominent cheek bones, straight black hair, and scantiness of beard. 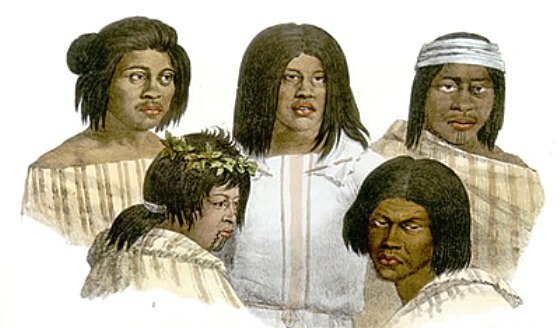 The skin color of Native Indians varies from very light in some tribes such as the Cheyenne, to almost black in others, such as the Caddo and a yellowish color in such as the Flatheads.